Delays in proper treatment, inhibition of our immune systems by tick and bacterial defenses, and development of resistance of Borrelia to common antibiotics allow the bacteria to escape eradication. Caught early enough, most cases are cured with a short series of oral antibiotics. There is even talk about a single dose of long-release doxycycline being sufficient if given early enough. Yet many people are being misdiagnosed, given insufficient treatments (Burrascano 2005), and not cured even after prolonged antibiotic administration. Physicians who follow the guidelines of the Infectious Diseases Society of America (IDSA) feel that the regime of antibiotics proscribed by IDSA is sufficient to eliminate Lyme disease. Thus, these doctors prescribe 14 days of doxycycline when they assume the patient has had the disease for less than a month, and 28 days when they feel there is neurological involvement. When the patient symptoms are not relieved by this antibiotic regime, the doctor, following IDSA's guidelines, states the disease is cured, but now the patient is demonstrating “post Lyme disease syndrome”, and there is nothing further that can or will be done. 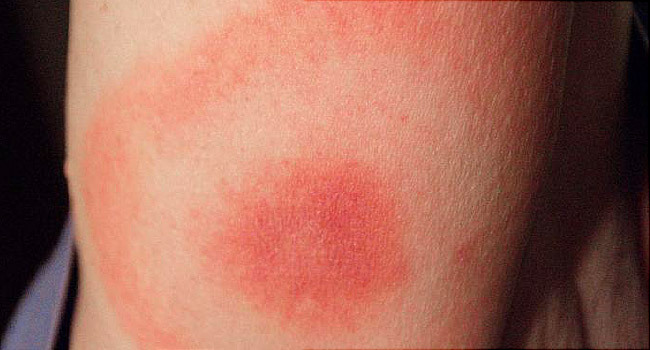 The International Lyme and Associated Diseases Society (ILADS) produced different guidelines. ILADS physicians understand that the disease has entered a “chronic Lyme disease” state, and more intense measures must be taken to eradicate the disease. Borrelia penetrate into the cells of various tissues where they become isolated from both antibodies and killer T-cells (phagocytes) that would eat them. The blood brain barrier prevents many antibiotics from entering the tissues of the brain and spinal cord. When Borrelia penetrate that barrier, they are isolated from most antibiotics and wreak mayhem inside our nervous system, causing major alterations in nerve function – breaking the synaptic network and even destroying nerve cells. The bacteria also burrow into and kill T-lymphocytes, the very cells designed to trap and kill them. As they destroy lymphocytes, Borrelia can hide inside a stolen portion of the lymphocyte's membrane and move through the bloodstream and tissue fluids looking to the immune system like a lymphocyte. The bacteria leave the lymphocyte membrane for only a short time before they enter a new cell. Once inside the host, the bacteria reproduce about once every two weeks. (E. coli can reproduce once every twenty minutes.) Since most antibiotics prevent the bacteria from reproducing, ILADS feels a two week antibiotic treatment is ineffective as the bacteria may not reproduce during the period of treatment. Each spirochete releases hundreds of membrane covered blebs, from their outer surface, and it appears these blebs are in part responsible for causing the symptoms of LD. Some antibiotics destroy these blebs, although the bacteria escape the antibiotic. In this case, the antibiotic reduces the severity of the illness because, although the blebs are rapidly destroyed by the antibiotic, bacteria continue to make blebs, so a few blebs remain active during treatment. The patient feels “better” but is not cured. Once the antibiotic is stopped, the blebs increase to pre-antibiotic levels and the disease comes back in full force – often producing new and more serious symptoms. Borrelia has the ability to change from a spirochete into two other cell forms and enter body cells (Alan B. MacDonald, MD, power point presentation entitled: “Borrelia and Alzheimer's Disease”, presented to the ILADS national meeting Oct 30, 2007). The first is an inactive cystic form that is able to produce new spirochetes at a later time. MacDonald feels this form is responsible for resurging Lyme disease after periods of remission. The second is an L-form or spheroid without a cell wall. This form is often found inside T-cells and neurons and appears to be responsible for damaging these tissues. 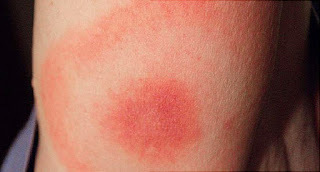 Each of the three forms of Borrelia requires different antibiotics or medications to destroy (Burrascano 2005). If these different medications are not provided at the proper times, the disease may return. IDSA does not agree the cyclic and L-forms develop in humans – even though Dr. McDonald has been demonstrating this for years. Thus, IDSA does not provide for treating any form but the spirochetal one. Bacteria can acquire genes for antibiotic resistance from resistant strains of other species. If a few Borrelia become resistant to an antibiotic, the sensitive forms are destroyed by it - effecting a temporary “cure.” When the resistant ones reproduce and form a resistant population, LD returns but now must be treated with a different antibiotic. The key to treatment of LD is to have the treatment started as soon as you suspect you have the disease - before the bacterium transform, mutate, or obtains antibiotic resistance. Once the bacteria are altered, a single antibiotic can not treat all of its forms, but there are many antibiotics available. If a particular antibiotic fails, another one might be effective.